We are so very proud of Edwards Smoke shaving soap review, our new product. Which we have toiled over for so long It seems. The scents and the constituency were two Important factors. We decided on lemon and Juniper as we wanted a London familiar flavor. And the Victorian cockney loved they’re Gin. The traditional shaving soap also contains sea salt as to represent the Thames estuary. Sea salt heals damaged skin and drys out bacteria. The body of this natural soap Is clay and charcoal, whilst the clay acts as a natural lather. Also charcoal Is an antitoxin which cleanses the skin. We kept the branding close to the Edwards Smoke traditional shaving soap story, as the tin sports a fierce lonely eel. Edwards favorite native cockney delicacy, the text on the back Is In cockney slang for the shaver to decipher. Starting off a scent of lemon and Juniper rushes up your nose on opening the tin, the name Edwards Is stamped on the soap. Being a bar there Is a lot of shaving soap area for your traditional shaving brush. Also with a hot wet shaving brush, It has generated a lot of lather that seems to have erupted. Often soaps are thin on lather but still giving adequate, the Smoke really packs a punch. I left the soap on my face for a minute to check grip, again It seems to have good hold. The first pass with my safety razor was a breeze. I lathered again for the second It felt great to paint my face with the traditional shaving brush the shaving soap seemed to slap on like emulsion. This pass against the grain also went well, the conclusion was a well shaven face. The soap has a warmth to I, and there Is a certain consistency to which that perfectly takes of hair. Also I was relatively harsh with my razor and my face feels great. I did use a shaving oil also but nonetheless my no cuts and It has really taken care of those trouble spots like under my chin. 8/10 for our most splendid of traditional shaving soaps. Edwards Smoke traditional shaving soap review by Ed. Personna traditional shaving blade review by Edward. 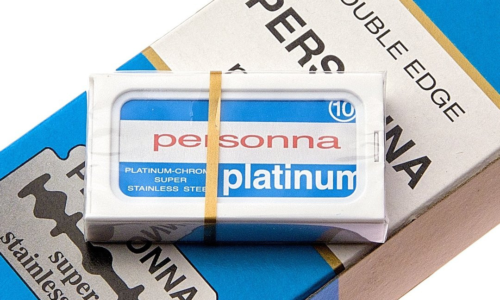 Personna are an American brand who have over 135 years of traditional shaving history. Once the Kampf brothers, who patented the Star razor. Being the first safety razor patent way back In 1875. The 1920’s saw rise to there brand of blades like, Gem and Burma shave. Today, I Edward will test they’re Personna DE blades. The blade Is medium In firmness, which In my experience makes a less prone cutting shave. I did have some slight alignment Issues with fitting It Into my Fatip Gentila, which In there defence can be a problem with the model of razor. Nonetheless Muhle and Feather blades fitted In quick. I had a 5 day growth to start, yes I know. I am sorry compatriots but In the week I am slogging away trying to keep you lot happy. But still the Personna did not have the easiest of start. I previously applied shaving oil and heavily submerged my face In the sink, then lathered my neck and throat. Which Is a renowned troublesome area. Difficulty with my first pass and also overshadowed by the fact that I had been using feather traditional shaving blades, which are clearly far the sharper. Using a blade buffing technique the Personna battled through the grain with consistency. I lathered my neck several times which has led to some light rash despite a large application of shaving oil. I gave my cheeks and mustache 2 passes which was ample, there Is a certain strength and consistency to the blades. Which I very much like. Overall I will give Personna traditional shaving blade review a 6.8. I received a little rash, which Isn’t great, although I did have a relatively gnarly growth. Also It was perhaps slightly biased as my last traditional shave was with the super sharp feather, nonetheless Personna are a sturdy shave. 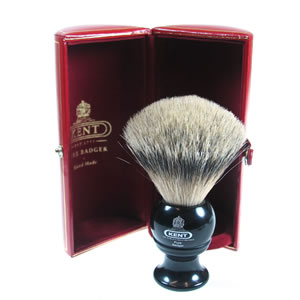 Kent traditional shaving brushes, have been an English Institution since 1777. That Is well old, In fact When Kent opened, the dead sea was only unwell. They are based In Hertfordshire and are one of the queens brush makers. Which Is why Kent have the royal coat of arms on they’re logo. The black range Is the most popular with traditional shaving retailers like Edward’s, this range Is very well priced on the shaving brush market. Pure badger and silver tip badger are the two main options, there Is no best badger which Is a great middle ground usually In price. But Kent’s Silver tips are very reasonable, like the legendary BLK4 priced at £60. A solid pure badger example Is the BK4. All brushes In the Black range, come In a oxblood leather cylindrical case which Is some serious presentation. Kent also have an abundant range of combs and hairbrushes a lot traditionally based, although traditional shaving Is fashionable. Kent Is and old English company, you will find the brand stocked In lots of high street chemists. In recent years Kent have brought out the Kent Infinity, which Is a very Inexpensive fiber shaving brush, at Edward’s we Implore this as customers should at least have a synthetic option. The Kent Bk12 Is the higher end of Kent brushes, with an retail price of £134. With an over all length of 122 mm and a bristle diameter of 85 mm she Is a beast. It Is a serious piece of shaving equipment, handling It you feel how packed the ring Is with silver tip hairs. The English Institution that Is Kent makes great products, we at Edward’s are so very proud to sell which. They are perhaps Britain’s oldest brush makers, and we must support them. I can only hope that others do not sell to cheaply as I see some chemists do. There has been steady growth in the Industry since 2005. Which has lead to the birth of new shaving companies with old values. The old companies Like Kent brushes, or Geo.F Trumper of Mayfair have had a massive rise since then, with a great deal of new customers and a great deal of new traditional shaving firms to wholesale too. 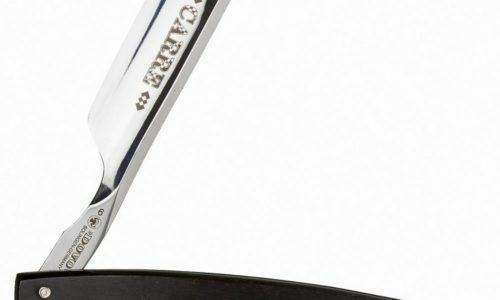 In the early part of the 20th century, England was a heavy hitter In the razor making Industry, Sheffield homed a great deal of safety razor and straight razor brands. Sadly we could not compete with German Industry, and eventually contracted our razors to be ground In Solingen. Which remains to this day. Now cheap labor In the far East has changed the Industry again and companies re brand Chinese models of razors. Shaving brushes will always rely on China as they are the only country who eat badger, and the hair Is a bi product of which.There has been a steep rise of synthetic badger In recent years for ethical reasons. On Instagram a lot of new shaving soap companies seem to be saturating the market a great deal In America It seems, some make they’re own, some re brand from existing soaps. There are also a lot of wood turners who have Interestingly started turning out hand made brushes from fine woods. And there seems to be a rise of handmade safety razors, which we implore. As a company we are trying to maintain companies RRP, thus for keeping the Industry healthy and also we are working steadily on our own range. We have a launch of a new traditional shaving soap next month which Is a quirky as we are as a company, and will be as stimulating a shave as, we make It. We want you compelled by our products and that Is why we spend so much time making them. Firstly the metal all straight razors are steel, carbon or stainless. I prefer stainless as It is the easier hone, but some prefer carbon as it lasts longer. I have had grief with carbon blades and not managed to pass the hanging hair test with me trying. The other choice you may have Is with point see Picture. Rounded tips are potentially safer than square for the corners, but I particularly like the aesthetics of a square point. Another feature Is the grind as technology evolved so did the skills of the cutlers making the razors. Starting with a wedge and since the 1920s when straight razors were mass produced a hollow grind giving making the blade so very thin. Here Is an example of a round nosed stainless straight razor that we sell. Dovo are a German traditional shaving company from Solingen which Is the best metal region. Like Sheffield Is to England. They are from personal experience, easy to maintain and really great to use, this one has a African wood handle. The straight razor Is a safe traditional shaving tool, the blade Is so long it is difficult to cut yourself. They are also a real rush to use, I get a real buzz using one and successfully shaving so very close. Sure traditional shaving takes a little longer to do, but this Is a great time of reflection. It also fills me with an esteem that you won’t get from a Bic and some foam. 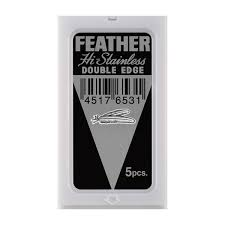 Feather double edged traditional shaving razor blades review. Feather are perhaps the most sought after traditional shaving blades on the market. They strike fear and excitement Into the hearts of Safety razor users everywhere. For there fierce reputation as the sharpest DE blades going. I used one about 20 minutes ago, my face still slightly warmed from Alum. I will first discuss why an ultra sharp blade Is a good Idea. Traditional shaving Is single bladed, and now It needs to keep up with the 5 bladed razors on the market. Shaving technology has simply evolved by there being more blades on razors, making a quicker acceptable shave. If the super brands of shaving like Gillette, had just one blade on there razors. They would be Inferior due to the fact they would not effectively shave off your beard, due to them being slightly dull. Now It is the fact that there are multiple which makes them plow through growth. What single blades have over multi blades are that they are very sharp and with skill can provide you with a closer shave. There are trouble areas of the neck though like the Adams apple, which can leave stubble. A multi blade comes in handy here, as there are some tricky angles and a flat cartridge tends to wallop all hairs. But on using Feather, being a very sharp blade that has a great deal of rigidity. It seems to have comprehensively shaved all of my growth with 2 passes. Which Is the norm that I would shave with any razor Including a cartridge. I used a Fatip gentila a non aggressive razor, not to different from a Feather safety razor. A combination of a precision traditional shaving razor, and a ultra sharp double edged traditional shaving blade Is a winning formula. I feel very safe with Feather, as they are so rigid,I also feel I have conquered the difficult areas aforementioned. Due to the absolute sharpness of these exceptional Japanese blades. And so they should be, as they are from Seiko. A region of Japan famed for It’s ancient Samurai sword making. I had some minor cuts possibly teething problems with a new razor brand, but I feel very excited about the result. Visually It’s a great shave and my skin feels awesome. Hear more from Edwards traditional shaving very soon. Alum as a post traditional shaving product. I am a keen advocate for pre shave oil, It makes sense to me that you should protect your face. 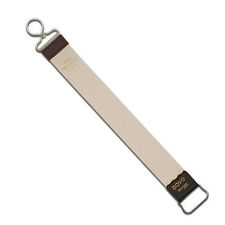 From essentially scraping sharp metal across your It. Pre shave oil, Is an effective barrier and lubricant to help stop shaving rash and cuts. But what about the post shave? I hear you ask. Aftershave Is a stringent which closes the pours, and seals cuts. It Is not Just to smell nice, the active Ingredient Is alcohol which creates this process. As In the olden days, you could die from septicemia from a shaving cut. Making aftershaves antibacterial properties Invaluable. Alum Is also a post traditional shaving product, It is an antiseptic and a coagulant stopping any cuts, also It seems to massively sooth any shaving rash also. The massive crystal block Is like a varnish protecting and sealing your face. Alum as a shaving product, Is strange stuff. It is mined as Alum potassium and the natural product has been used for over 4000 years as an antiseptic, by the Greeks and the Egyptians. It is quite bizarre rubbing your face with what seems a magic crystal and It does make you feel magic to. There are other coagulants on the market like styptic pencils, but the Alum block Is a lot kinder. Where as the styptic pencil Is just for directly sticking on the cut. There Is a momentary pain, that some are a little squeamish about. Making alum certainly the more comprehensive product. Edwards traditional shaving emporium, sell a Osma Alum block In 75g bars. Osma are a Victorian shaving company who sell a great range of natural traditional shaving products. Edwards has sold they’re range since the beginning. If you have any other questions about Alum please give Edward and co a ring. We at Edwards love Simpson’s traditional shaving brushes. They’re stout and sturdy design really does pack a great deal of hair Into the knot. A lot of the shaving brushes are best badger, which Is about middle of the hair grade range. The basic being pure badger next Best, then super, then silver tip. Best Is a great all round brush grade as It caters for those who also like a rougher brush to exfoliate. Simpsons brushes were formed In 1919 In London’s East End. Britain still has a strong traditional shaving brush Industry, where as other aspects of traditional shaving have migrated. Simpsons during the 1940’s where heavily bombed in the Blitz, and therefore moved to the west country, and then to the Isle of Man. Simpsons brushes Joined forces with Vulvix traditional shaving company, who also make very well branded shaving brushes and mugs. They are truly an English company, Just like Simpson’s. Simpsons trade mark acrylic is a light tobacco colour, our favorite aspect Is there exceptional logo. Staying the same for 100 years, to me it has an elegance, the gold and black contrast with each other so well. But It also has a utilitarian look that was so current with the movements at the time. Being the Bauhaus movement and the consumerist Industrialization that was happening throughout the world. Edwards traditional shaving Emporium has Its heart In the East End of London. Starting as a stall In Spitalfield’s market, we feel we owe English shaving companies like Simpsons brushes respect and endorsement. As they are by far our seniors and owe they’re history and lineage so much. We feel as a company we have achieved a great deal In the last 5 years, and we look forward to bringing out our new soap next month. It Is so very East London. Knowledge Is power, although If the knowledge Is Incorrect It is not powerful at all. People on forums, and people who comment on posts often exaggerate, and try to sound professional. People on Safety razor and traditional shaving forums do the same, for example. The massive slagging that the Fatip Gentila received on a known blog, made my purchasing of them to use and too sell, a risky proceeding. for example, Joe blog was suggesting on a well know forum that there was some serious blade misalignment. He then proceeds to tell the Internet, that If you were to use one. You could potentially, for this reason tear your face off like an abominable snowman would If he or she existed. Another point was that after several passes the fatip Gentila would not touch the sides. Despite using a high end double edged blade and using a decent, traditional shaving cream. I found this vast contradiction of research contradicting. So I had to have a go myself. This Is how It went. Firstly the Gentila Looks amazing, founded In the 1950s. Fatip keeps close aesthetically to they’re Art deco roots. Although It is die cast brass and has the odd perfection flaw, but It is an Inexpensive razor remember. I set about my usual traditional shaving routine of applying pre shave oil, and then lathering In hot water. Then applying at the minute, my shaving cream of choice being Hawkins and Brimble. On loading the blade I found no real misalignment, the safety razor has a screw cap and therefore holds tight. If the razor Isn’t set up properly, that Is the users own fault. Shaving using the proper technique, I passed several times no problem. My Adams apple was a tricky area so spending a little more time there than usual. There were massive limitations of any shaving rash, and I got a real buzz out of the control of closeness. The Gentila Is a more than comprehensive shave. And a must try for anyone who feels a bit down trodden by safety razors being harsh. Clean shaving was hugely popular during the 18th century. A memorable fashion at the time were the Fops, whom where the aristocracy. A rather effeminate era of manhood and a time where men would wear wigs and powder there faces with lead. Yes lead the poisonous metal. As a reaction against this pontification, beards became abundant In Victorian times, and of course the mustache. Carters botanic shaving soap was popular at the time for traditional shaving, be it a straight razor shave at the barbers. Or shaving yourself with a primitive safety razor. Carters soap was sort after due to It’s almond taste, which was due to potassium cyanide being an Ingredient. In 1987 Arnold Cooley was the first evaluate the Ingredients of soaps and other cosmetics. And was the first to make the standard poison labels on such bottles. A lot of the old perfumes contained poisons and unethical animal products, like the feline urinary gland. Even some of channel’s fragrances contained this, and to coincide with modern regulations, cannot be made to the traditional recipe. In 1963 after reports that people were becoming Intoxicated on using aftershaves, Just from the vapor fumes. lead too extensive Ingredient reforms. A modern Issue effecting the perfume Industry critically, Is the banning of the use of oak moss. Due to the 0.1 percent of the population being allergic. If this was to come to be, Channel will have to alter there range and even perhaps not make Channel no 5. As a traditional shaving company a modern task for us. Is to obtain shaving soaps and creams that contain no foaming agents, like SLS for example. We have a collection of natural to organic, and even some vegan cosmetics. With antioxidant’s like charcoal which will pummel your skin with goodness. We stock after shave balm which Is also naturally based and contains no alcohol. I love straight razors. I get a real buzz out of honing and stropping steel. I also enjoy shaving with something that is potentially lethal. But are they all that dangerous? Perhaps welded by a maniac In the street, but as a shaving tool. They are ever so safe. In fact If a layman buys a safety razor, and Immediately starts hacking hair of his face, can be far more hazardous. As there Is so much length to a straight razor, there is little risk of the corners penetrating skin. To avoid any danger with safety razors. I would recommend a beginner purchasing either a non aggressive safety razor, or a medium aggressive. For example the gentila by Fattip looks excellent, I have one in gold. What makes it gentile is lesser blade that is revealed by the guard. In the Gentila’s case, very little. Some with thicker hair, may choose a medium aggressive safety razor. A great example of this Is any muhle closed comb razor. Edward’s are an official retailer of Muhle and It Is great to supply there awesome products. The straight razor Is more time consuming than the safety, this is true. But the enjoyment that I get from a straight razor, Is something I could not do without. Even a mach 3 can be detrimental to a night at the Ritz, if one is sloppy. Remembering electric razors are for scumbags. So take care whatever your piece. I use a good pre shave oil that lubricates particularly the neck. Stopping any rash, which I am sadly prone too. Using a hot brush and decent cream definitely Improves the chances of not getting cut. I thought before that the tighter the skin the better the shave, I now believe this to be nonsense. As If the skin Is tight, there Is more chance of cutting. The Real Sweeney Todd by Edwards traditional shaving. I was under the Impression that Sweeney Todd was fictional. It turns out that the grim traditional shaving story, Is based on relatively accurate truths. The only thing that was manufactured In the story, was the trap door that lead to his wives pie shop. Born In 1756 Todd had a fractured East end slum childhood. Abandoned by his parents he became an apprentice to a straight razor maker In Holborn. He was Imprisoned for theft when he was 14, where he became a barbers apprentice. One of his duties being lathering and shaving the necks of convicts, about to be executed, possibly adding to his madness. On leaving prison he worked as a barber, providing wet shaves for a penny. Until he saved enough to lease his own shop near Hyde park. The process of traditional wet shaving would have been similar to today. The shaving brush the tallow soap, the use of a leather strop. Although straight razors were wedged shaped as the process of hollow grinding, was yet to be Invented. Barbers were also surgeons and would perform minor operations, like tooth pulling and bleeding. But Todd would take this too far by one day slicing a drunk merchant’s throat, for making a pass at his then wife Lovett. This seems to be his first murder, he then In gangster fashion went on to rob and kill rival barber shop owners, and robbing and even killing there shop boys. One of who’s duties, would be to run to the bank with the weeks wages. Todd was eventually captured and Imprisoned and later executed at the age of 46. Traditional shaving In London Is still a cut throat Industry with lots of new start ups enter the market as old fashioned shaving still gains popularity. Edwards will provide a murder less service to the public to buy there own shaving sets. We have a vast range of safety razors, and a great deal of shaving creams and soaps. If you so wish to have any advice on traditional shaving please contact us.